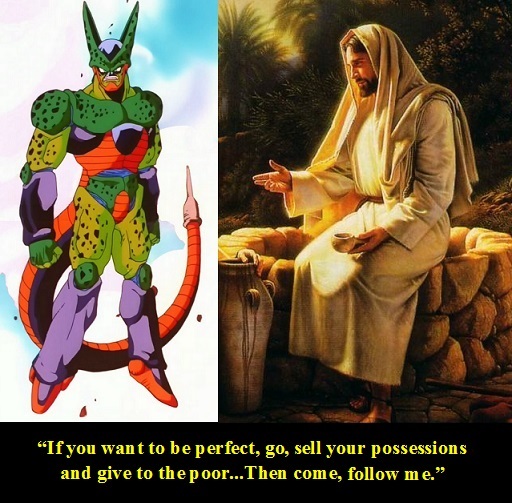 Image | This entry was posted in Bite-Sized, Dragon Ball, Images, Pop Culture, Spiritual and tagged Cell, Dragon Ball Z, Jesus, Perfectionism. Bookmark the permalink. That puts it in perspective! All the time I drained people’s bio essence and absorbed androids – I now consider loss.